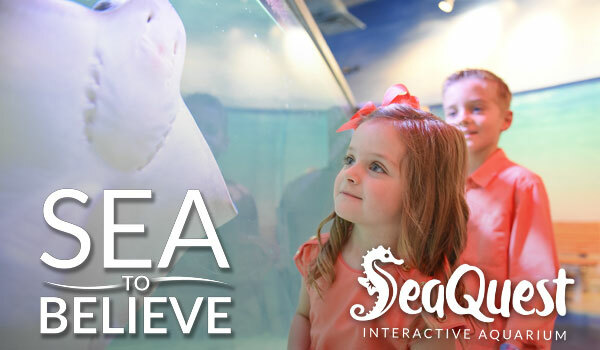 SeaQuest Interactive Aquarium offers a completely interactive, hands-on learning experience for the entire family. 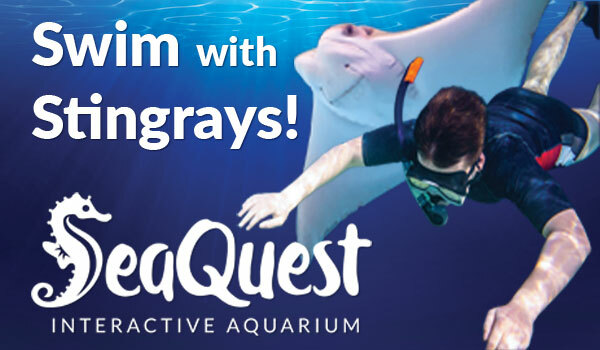 Designed as a 'Quest of Edutainment', visitors to SeaQuest will journey through realistically themed exhibits where they will connect with the animals through various hands on encounters such as feeding sharks, stingrays, capaybara, giant sulcata tortoises, large exotic birds species, and thousands of other creatures along the way. The SeaQuest Online Gift Package Sale Is ON!